I have loads to talk about but I figured I'd start out with a post about the little man's 5th birthday party. This was the first time we've ever done a party with friends from school. It was lots of fun but way more stressful for me. We got a picnic shelter at a nearby park. It rained so I was very thankful for the shelter, plus we had a lovely view! 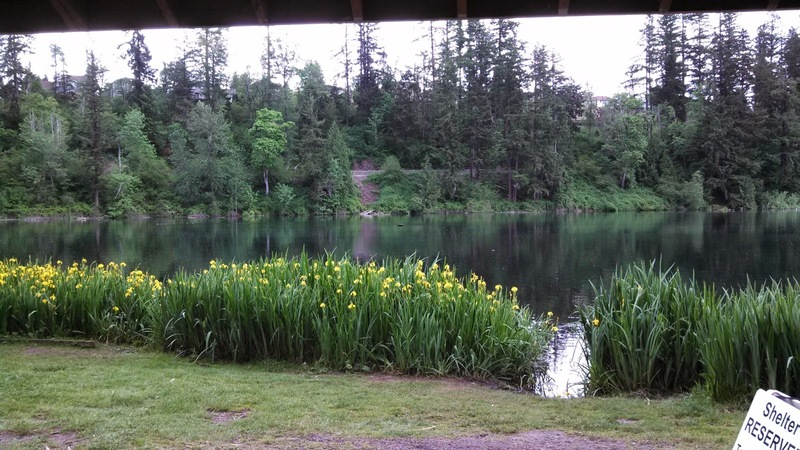 This is at Lake Wilderness Park. We kept having small flocks of ducklings swimming up to the shore too, free entertainment for the kiddos. Little man wanted a Lego themed party, so after scouring pinterest and feeling slightly intimidated by all the crazy ideas, I narrowed it down to a few that I could pull off in my time frame. 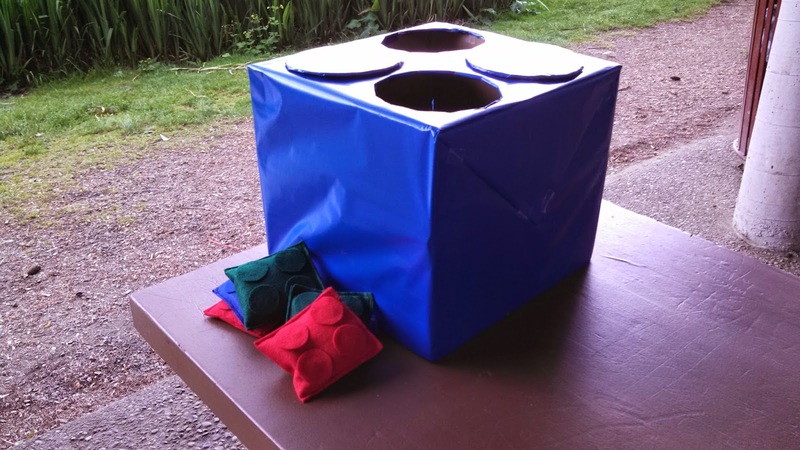 I made a Lego beanbag toss game complete with the brick shaped beanbags. Mainly the kids ran around, played at the nearby playground and chased a giant beach ball. I made chocolate cupcakes with gummy candy Lego guys. I have to give credit to the little man for requesting sprinkles last minute. It really pulls the look together on these. 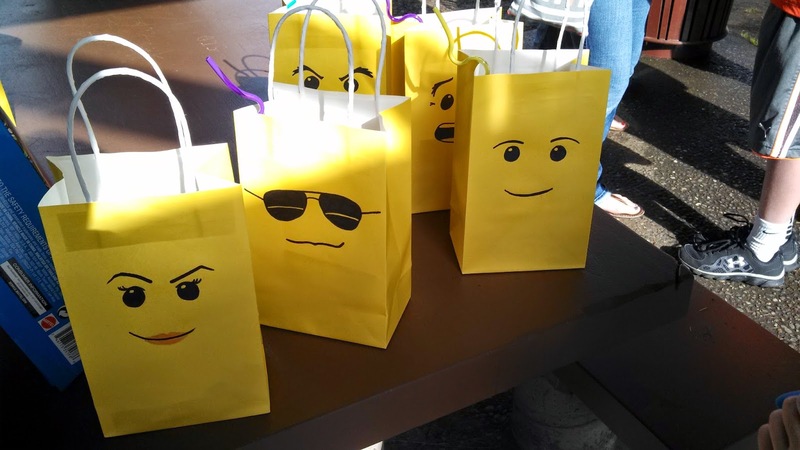 Goodie bags were Lego themed too, and I have to admit I had a really good time making them. There were 10 different faces to choose from, each with a twisty straw, those hard building brick candies and a mystery minifigure.